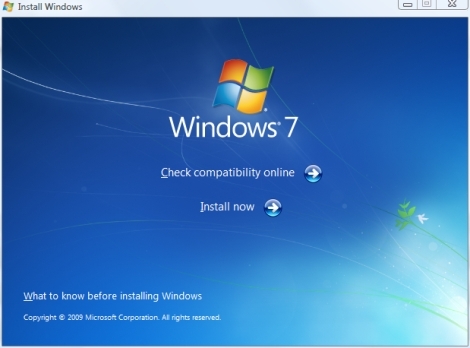 Fast and easy step by step guide on upgrading Windows Vista to Windows 7. 1. Get a copy of Windows 7 from Microsoft Store or download Windows 7 RTM from MSDN or Technet (both subscription based). I’m running Vista Home Premium x64 and will be upgrading to Windows 7 Ultimate x64. Burn the iso image file onto a dvd. 2. Boot into Vista as usual and run the setup.exe in the DVD. You will be presented with the following. 3. Read the “what to know before installing windows” (bottom left) carefully. I’ve copied the part of the document “To Upgrade to Windows 7” (from Vista) at the end of this post so you can read it for further reference. 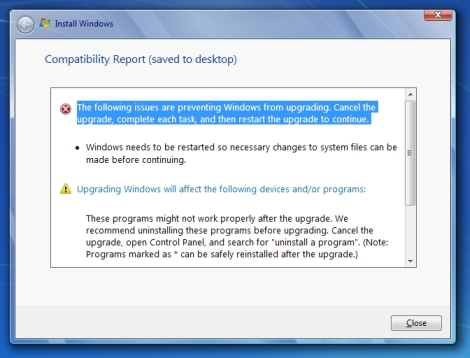 It’s also worth doing a windows 7 compatibility test with Windows 7 Upgrade Advisor now by pressing the “check compatibility online” link, if you haven’t done it before. 4. Proceed with the “install now” link. The setup will do more scanning and comes up with a list of unsupported hardware or software if it had found any. In my case, the setup found that my ATI Control center and RealTek NIC Tool might interfere with the upgrade and recommends that I uninstall them before proceeding. You can jump to step 6 if you don’t see a compatability report popping up on your screen. 5. I then quit the setup, uninstall those offending applications (windows 7 setup mentioned that I can reinstall them through Windows Update anyway).